Silsila Badalte Rishton Ka is one of the topmost rating serial on Colors TV. Silsila Badalte Rishton Ka is the long-running TV serial. The show gave highly-drama for their viewers. 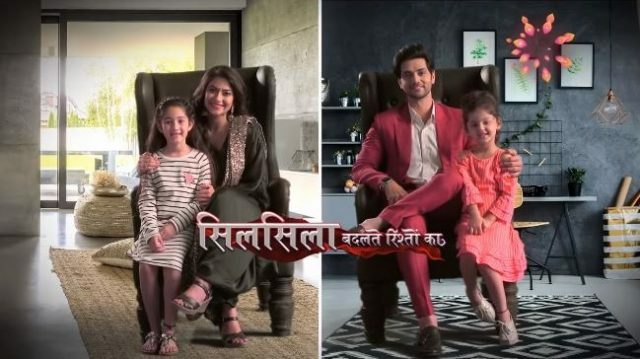 Silsila Badalte Rishton Ka is the is at the high turning point. The Santa Claus Kunal wants to see Mishti happy. Kunal makes an entry to the party area dressed as Santa. On seeing Kunal dressed as Santa the kids at the bash her loudly. To see the smile on the face of kids Kunal also feels so happy and there is the beautiful smile on his face. Silsila Badalte Rishton Ka 27th December 2018, begins with a guilt-ridden Kunal wonders how he can undo all the wrong he has done to Mauli and Mishti. He told himself responsible for ravage, Mauli life. He tells Mehak that he ditch a wonderful wife like Mauli for ‘true love’ and ended up marrying Nandini. Kunal is determined to bring about a change in Mauli and Mishti’s lives but wonders what to do. He was very sad and think who he can solve the problem. Mauli comes up with an awesome idea. At Mauli’s place, Mishti refuses to have the food made by her mother. She insists Ishan should come and meet her. Just when she throws tantrums the doorbell rings and kids come to invite Mishti for a Christmas bash. Mishit is super excited about the Christmas bash. Mauli instantly agrees to let Mishti join the children for the Christmas party on the next day. Mishit is super excited and begins preparing for the special party. After reaching the party venue Mishti is super excited to see the decoration and gifts kept for children. Mehak tolds Kunal to dress Santa before Mishti sees him around. Mehak plays with the small kids and Mishti for scolding her on the day when Pari had fallen into the swimming pool. Upcoming Silsila Badalte Rishton Ka 28th December 2018- Mishti tells the Santa Clause that none can yield to her wish except him. She wishes for a father.